The most loved scripting language for web developer these days is PHP. Since the technology easily mingles with other web technologies, the results are unimaginable and incomparable indeed. Our PHP development services are of superior quality, low cost and affordable as compared with other industry factors. We use PHP frameworks to build applications and websites of all complexity and sizes ranging from static websites to big complex content management systems. Our proficient web developers have successfully worked on Yii, Zend, CodeIgniter, Laravel, and Cakephp. This framework makes building web applications faster with less code requirement. It makes both complex and small systems easier and grows solid. With a tiny footprint, CodeIgniter is a powerful PHP framework which is built for developers who require elegant and sophisticated toolkit to develop fully-featured web applications. 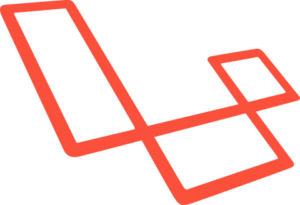 Laravel keeps everything in sync using the agnostic migrations and schema builder. We indeed sweat the tiny stuff to help you deliver magnificent applications. The Zend server helps developers in creating supreme quality apps faster and provides the excellent back-end platform to make sure your apps perform at scale. We all know that we frameworks provide libraries and tools to make web development operations a lot simpler and easier. Various web frameworks exist for almost every programming language you might want to consider for your next project. Frameworks make things easy to reuse the code for HTTP operations to structure the projects so developers can promptly build and maintain the application or website.